Last month, we launched the newest version of Protocase Designer (4.6) – exciting, right? Since I’ve been with Protocase since the very early days, I’ve seen the company grow and expand in so many ways. One of the major ways we’ve grown has been our development and launch of Protocase Designer. Throughout the past decade, I have seen it continually improve, and watched it transform into such useful software for our customers. I’ve already blogged about the 6 ways we’ve improved Protocase Designer with this new release of 4.6, so for this post, I wanted to do something a little different to celebrate 4.6. I sat down with Douglas Ronne, our lead software developer (and essentially the mastermind of Protocase Designer as it exists today), to talk about Protocase Designer, and how far it has come. Tell me about your background – what did you do before you arrived at Protocase? Before working with Protocase, I would have been a customer. Not necessarily a Protocase Designer customer, but I was definitely in the same field and understood the importance of useful software. I grew up in a machine shop. 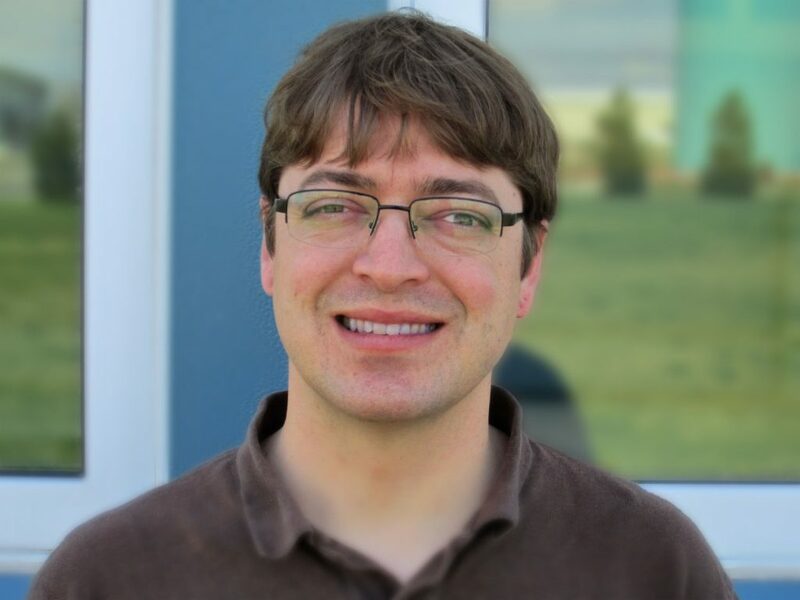 I previously worked for an electric vehicle motor controller manufacturer and have a background in electrical engineering and math. I am now the lead software developer for Protocase Designer. What were the goals of Protocase Designer? The goal of Protocase Designer was, and will always be, to make it easy to learn, easy to use and easy to order electronic enclosures. Tell us what Protocase Designer was like before Version 4.0. When I arrived in September 2009, there was a basic version of Protocase Designer. This version did not have a lot of graphic capabilities and didn’t really understand the thickness of the metal. Although it did have four basic templates and allowed you to put cutouts on your design, along with order online, it was fairly hard to use. 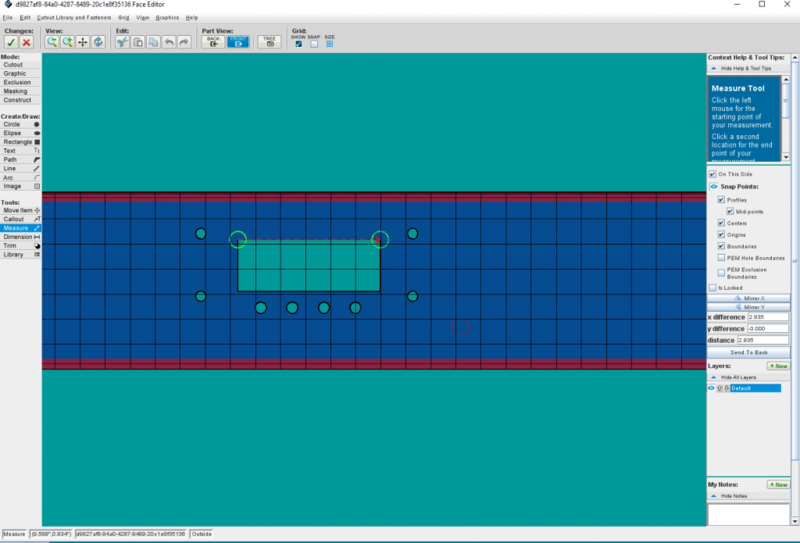 What were some of the first changes you made to Protocase Designer when you came onboard? The first thing I did when I came to Protocase was make slight enhancements to the software. I wanted Protocase Designer to show color, and for customers to be able to undo and redo. Having been on the other end actually designing, these small changes were something I thought everybody needed of their software or it can become really frustrating for the designer. However, we quickly realized it was time for a full re-write and we started over on what would then be Protocase Design 4.0. Tell me about developing Protocase Designer 4.0. What work went into creating and developing the software? The first version of 4.0 was developed by me and a computer science student, but the majority of Designer 4.0, I did myself. When we expanded further on Protocase Designer to versions 4.2 and beyond, I had a small team to help develop and code. But the first 500,000 lines of code in 4.0 were written by me. During the re-write, we switched from Python, which was great for prototyping, to Java, because it was great for prototyping as well, but offered a nicer finished product look at the end of the day. Within a year, we put together the first version of Protocase Designer 4. At that point, we had a much nicer foundation to build upon and were able to make it easier to add new templates. With the new version 4.0, you could now design various different brackets and install them in your enclosure. Protocase Designer now has direct graphics capabilities. With the older version, you were required to make your graphics in another program and then import to display them in your design, but you couldn’t actually go in and add text or anything. We made a number of feature and usability enhancements over time, and we are able to use it also to do our automated work instructions. What are Automated Work Instructions (AWI)? They are the instructions for actually building the design mostly done automatically by a computer from the 3D model. There is some human interaction, as we have not tried to get into machine smarts – we have smart people and they are much better than computers at making value judgments. However, computers are much better at cutting and pasting and doing the same thing over and over. We have used this to greatly reduce the time it takes for our Engineering and Design services (EDS) team to process a job, and it also greatly reduce the errors in the process. People, even really detail-oriented people, are not that good at repetitive behavior; computers are much better at it. It should be noted that the goal is not to make our EDS employees’ jobs obsolete, but rather to free their brains to analyze designs for design intent. They can look at something and say, “That looks kind of big, maybe it should be thicker.” Or, “That is really tiny. Did they really mean to make a 9mm fan instead of a 90mm fan?” Computers are really bad at that sort of thing. People – especially ours – are great at it. How was AWI introduced into Protocase Design? We are changing how the instructions are made. Currently, the state of the art work instructions were designed in the late 1800’s/ early 1900’s. We are taking advantage of computers to make 3D interactive tailored work instructions. We have built our Protocase Designer system to be as flexible as possible and have used that power to create these instructions. What does utilizing AWI mean for our customers? AWI are reducing the time it takes to generate quotes and increasing our on-time rate (which was already high). The fewer mistakes we make, the less likely there will be a slip in schedule, or any other kind of problem that impacts the customer. How did you use your experience from your previous work experience and background as an electrical engineer to shape how you wanted the software to work? I understand our customers; being a customer myself, I know that they don’t care a whole lot about the bells and whistles and how things look. Our core customers for Protocase Designer are electrical engineers. They care about how things work, and whether or not they can figure it out quickly. 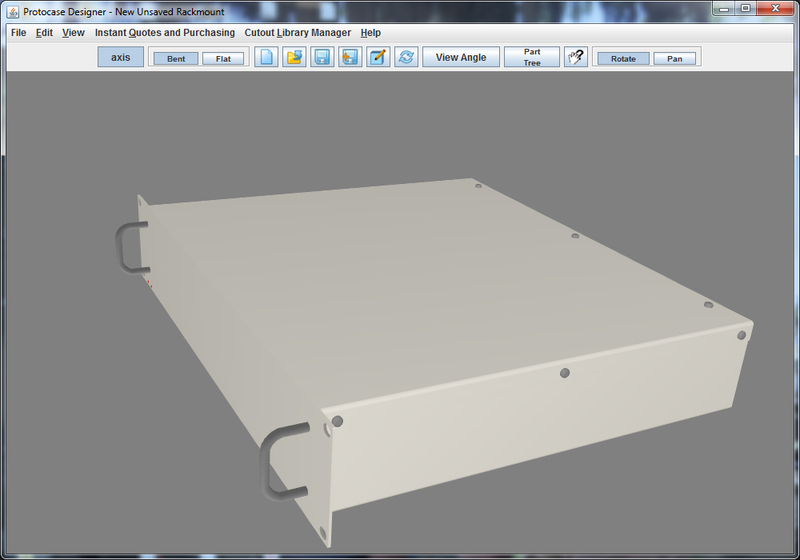 Protocase Designer is simple to use and behaves more like Microsoft Paint than Solidworks. The software has changed immensely over the years; can you tell me how it has stayed true to Protocase’s vision for it? Protocase Designer is still template based, and will always be. This isn’t to say we won’t eventually do something a little different, but we will always maintain software where 3D designs are entirely done. The vision was, and will continue, to be template based, where you’re just modifying the design so you don’t need a lot of training in enclosure design. Our vision isn’t as much about limiting our customer, but rather communicating to them very easily and rapidly what it is we can do for them, and making it easy to get what they need done without having to go back and forth with our engineers. That can be frustrating for the customer. It’s not that we are trying to save the time of our EDS team – rather, we are trying to save the frustration of our customers. We are just going through our first cosmetic change now and doing a re-work to make it clean and modern. I feel like you should have a real good reason to change how your software behaves. Everyone gets mad when a new version of Microsoft comes out. It takes forever for people to accept the new version, and it’s because they’ve change everything in it and, I would argue there’s no need to make those changes in the first place. We will stay close to the original vision as possible, but always making it as easy as possible to design, order, and receive enclosures. How often does the software team take into account feedback from customers and make changes to the software? I try to visit some customers a couple times a year, especially companies that have several employees using our software. We hear from Protocase Designer customers frequently, both good things and improvement requests. We try to take their concerns into account, but always being careful not to make changes that will make one customer happy and multiple other customers unhappy. When we plan, we take into account feedback and make appropriate changes; if it is something we all agree is needed and will benefit all customers. For anyone starting out, can you give them one tip or piece of advice for designing with Protocase Designer? We designed Protocase Designer so it doesn’t let you design things we cannot build. There are some boundaries, which users will see in the form of warnings. Ultimately, those warnings are flexible, so we still let you submit your order as is, and our engineering and design services team will try to make it work. So, my key piece of advice would be to complete your design within the constraints of Protocase Designer. That is to say, if you heed the warnings and make changes where needed, your order will be done at the lowest cost to you, without trouble. The most useful tool that people sometimes don’t notice is the measuring tool. When you measure between two things, it gives you those measurements, but it then allows you to change the point and it will move the second thing you measured to make them measurements correct. Needless to say, this is a very useful and easy tool to use. I highly recommend it. Using the measuring tool is beneficial in that it makes sure everything fits, therefore you can then go and adjust it if need be. The measuring tool is one of the most advanced tools and worth getting to know. For people upgrading to Protocase Designer 4.6, what is the one thing you’re most excited for them to see? No one will be excited for this but I am – the Dialog box! It’s a new approach to what we previously had, but with this new release, our notes are all in one box, rather than multiple dialog boxes. Hopefully people will now see more of our notes, because they won’t be hitting the next button to bypass another dialog box in the middle of their design. We have also developed a much more streamlined interface; you can change icon sizes and we are also adding the ability to upload SVG files. With this new option of uploading vector graphics, your order will not require extra processing from our graphics department, which means no extra charges and you get the best quality graphics. Many thanks to Douglas for sitting down with me to talk about Protocase Designer. If you have any questions you’d like to ask Douglas, feel free to comment below. I encourage you to download Protocase Designer 4.6 and check it out for yourself. See how fast and easy it can be to design and order custom enclosures, panels and brackets! Christa Carey has been with Protocase since the very beginning. In fact, she was the first employee the company hired back in 2002, after working for Protocase co-founders previously. She graduated in 2000 from Cape Breton University in Nova Scotia, Canada. As the Engineering and Design Services Manager, Christa manages a team of 18+ engineers and technologists who work with Protocase customers daily to provide quotes, assess the manufacturability of their designs, suggest design changes where required and finalize files for approval. 2001 - 2016 © Protocase Inc. All rights reserved.